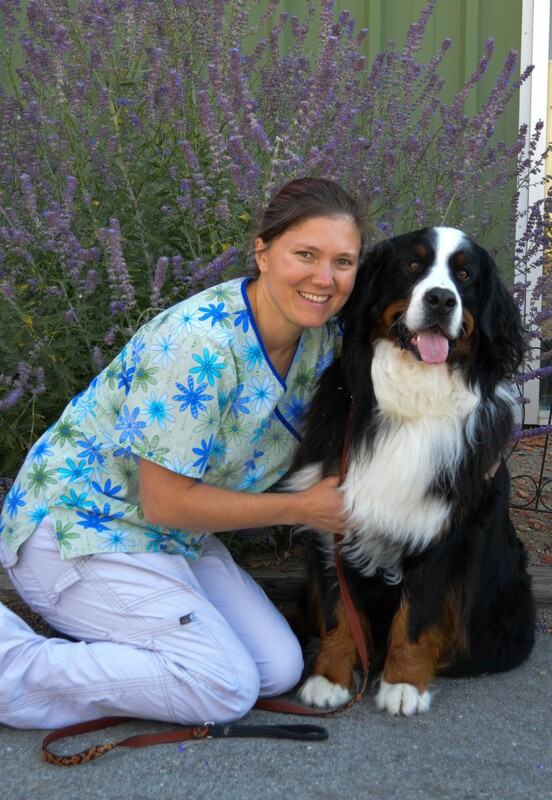 Melanie is a Certified Veterinary Technician and our head technician. She grew up on a ranch in South Dakota and has loved and cared for many animals since she was very little. She graduated from Eastern Wyoming College with a degree in Veterinary Technology in 2002. She worked as a technician in Laramie before coming to Casper. She has been at Best Friends since 2008. 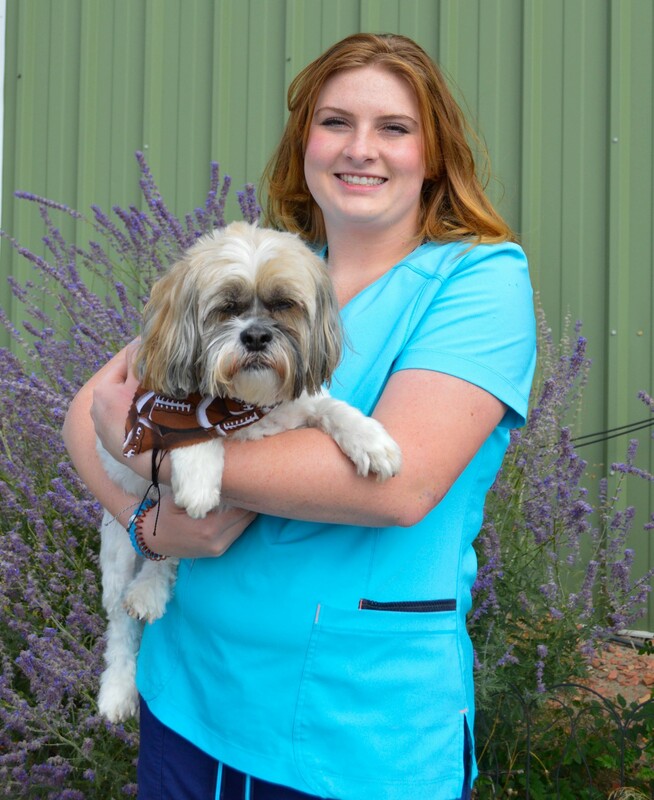 She loves working as part of a team to help people with their pets, assisting in surgery and with nursing care, and she really enjoys spoiling our clients' puppies. Melanie is our head technician and ensures great patient care at every visit! She is full of great tips and pet information- ask her anything! 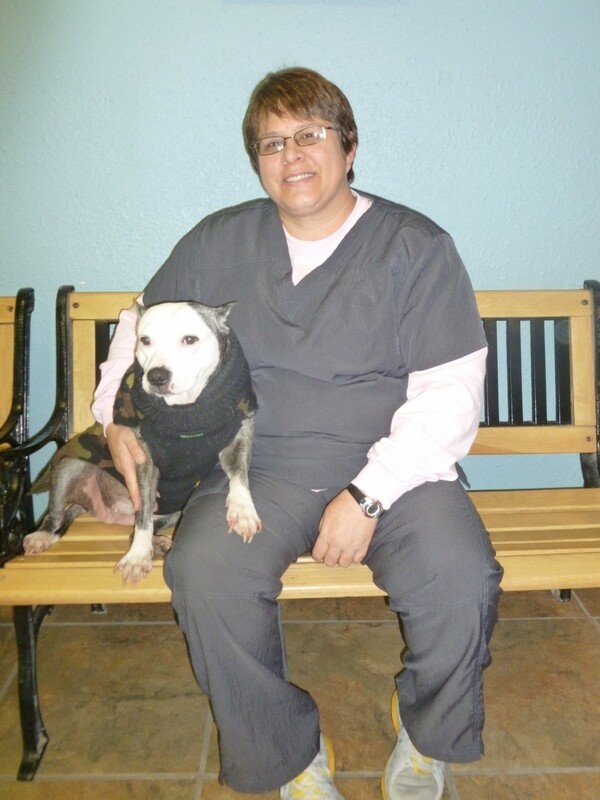 Melanie is married to a wonderful husband and stays busy with church, vet tech association and family activities. Her family includes two very loved, overfed, and under-worked horses. Sage is a big, fat Morgan who will do anything for a cookie and Beanie Weanie is a cute and very sassy little Quarter Horse. Her youngest is a Bernese Mountain Dog, named Mister Bojangles. Karen had lived her whole life in Georgia until Fall of 2014, when she joined the Best Friends family. She came to Casper on a visit to spend time with her youngest daughter and absolutely loved it! Karen has a criminal justice degree and worked as a parole officer in Georgia for several years. 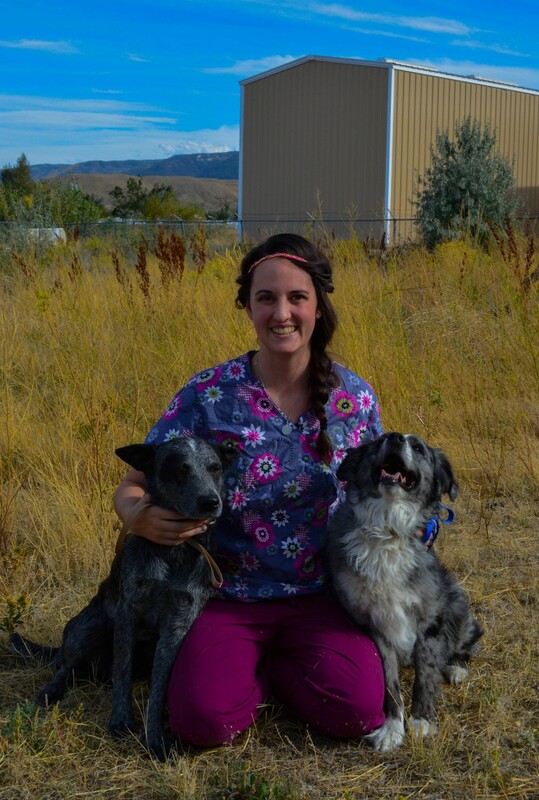 Her true passion of caring for animals brought her from animal control into the veterinary field. Compassion for and nurturing of animals are qualities she has fostered since she was a little girl. It has been years since she followed her heart and hasn't looked back! She is currently pursuing a degree in Veterinary Technology. Talk about all creatures great and small...in her past Karen could be found training and raising quarter horses or working on her beef cow farm, and many in between. When she is not hard at work, Karen tells us she loves to fish and do pretty much anything outdoors...we're teaching her how to fish in Wyoming! Karen's family consists of Nick, her poodle (not pictured), that is in her words "my spoiled baby". She is married also has two grown daughters with grandchildren that are her "pride and joy". 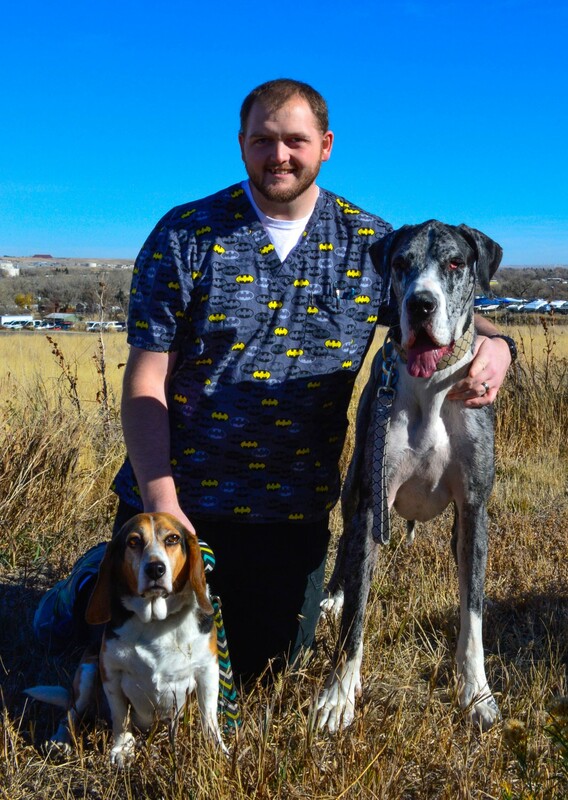 Born and raised here in Casper, Aaron has been caring for animals for most of his life. In addition to the pets at home growing up, Aaron also worked at his mother’s boarding facility starting at age 7. Aaron graduated from NCHS then moved on to join the United States Army. Aaron served as a veterinary technician in the Army for 7 years, helping to treat Military Working Dogs and service members' pets. Aaron served in: Fort Bragg NC, Camp Lejune NC, Naval Air Station Whidbey Island WA and spent a tour in Iraq. Aaron has been taking classes at Casper College his spare time between work and family. He is looking forward to finishing a degree...and maybe vet school. He will combine book knowledge with the diverse experiences he has been fortunate to have. Aaron’s Family consists of two children, his beautiful wife, and two rescues (pictured); Harley, a Great Dane and Tucker Beagle. Veronica was born and raised here in Casper. Growing up every weekend and summer was spent on her family's ranch. She has always had a love of animals which include her 3 fur babies, Skeeter, Bandit (both pictured), and Ubee the cat (Camera shy). Veronica always has a smile on her face and is excited to greet our pets and clients and help with anything at any time! In her free time, she stays busy with her 3 children (2 girls and 1 boy) and husband with school activities, family events, and enjoying the outdoors. The kids have acquired her love of animals, which has been on adventure in itself. Her house is filled with animals of all sorts found outside. 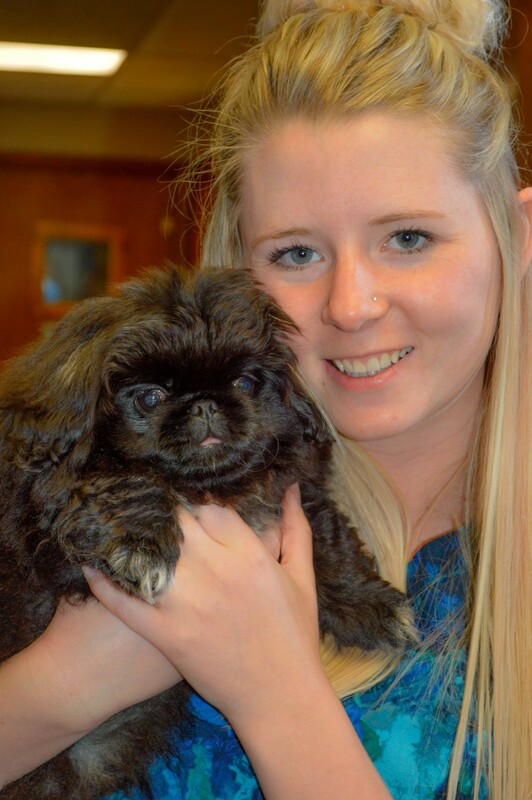 Kaylee is a Casper native and was very active in Kennel and Agility Clubs as well as FFA before graduating high school. She is in charge of our Puppy Preschool (graduate pictured), starting our puppies with good basic manners. She has tremendous patience and a heart for training puppies and their people! Kaylee's face may look familiar as a veterinary assistant, she moved into reception and has been a smiling face and a great help (with lots of extra information too!). Kaylee has had a wide variety of pets through her home from dogs and cats to sheep, pigs and horses. Her current family consists of Addie and Macie and Lakota, a yellow labrador. She also has cats that are sure they are dogs! Morgan was born in Kaycee, but has lived in Casper since 2007. 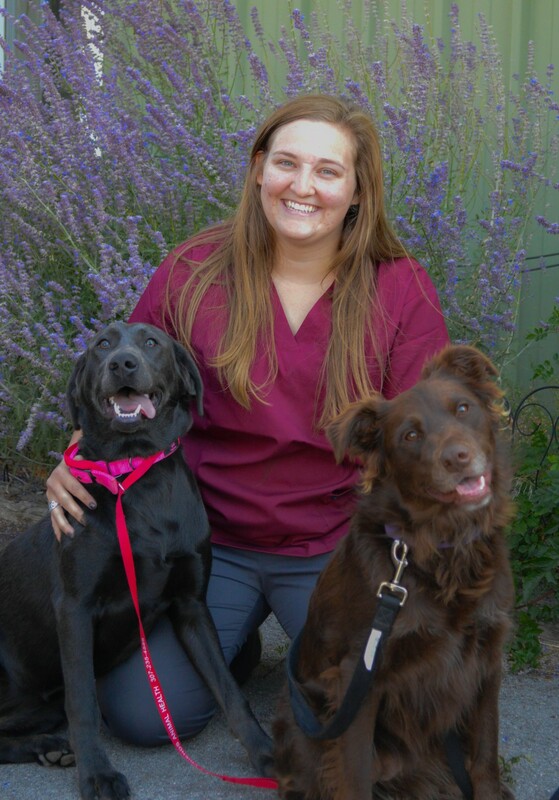 She started working for Best Friends as a kennel assistant and has been a great addition to our treatment team! She has always loved animals, and have always wanted to work with them! She has 2 dogs (Bandit pictured), and Rose a lab/mastiff cross. She also has 2 cats, Baby & Gracie. Her household has always been filled with animals! 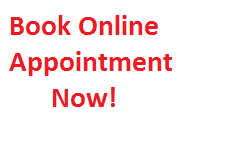 Our patients (especially cats) love her and you will too! In her spare time, she likes to play with her house full of animals, hang out with friends and listen to music! She loves being outdoors. Shelby grew up here in Casper, surrounded by animals! She is a KWHS graduate, hoping to start in kennels on her way to becoming a veterinarian. She is a full time Casper College student. Shelby is a hard worker, always making sure our boarders are happy. Shelby's house is still full of furry and feathered friends. Her family consists of a Lhasa named Mushu (pictured), Murphy, a wheaten terrier and 2 hedgehogs. She has a pigeon at home along with chicken and ducks. Mary is a born and raised Casperite. She worked at the Humane Society socializing pets before she joined us. She is our resident cat whisperer, although the dogs like her too! She always has a smile on her face! She makes time for extra pets, brushes and snuggle time with our boarding pets. 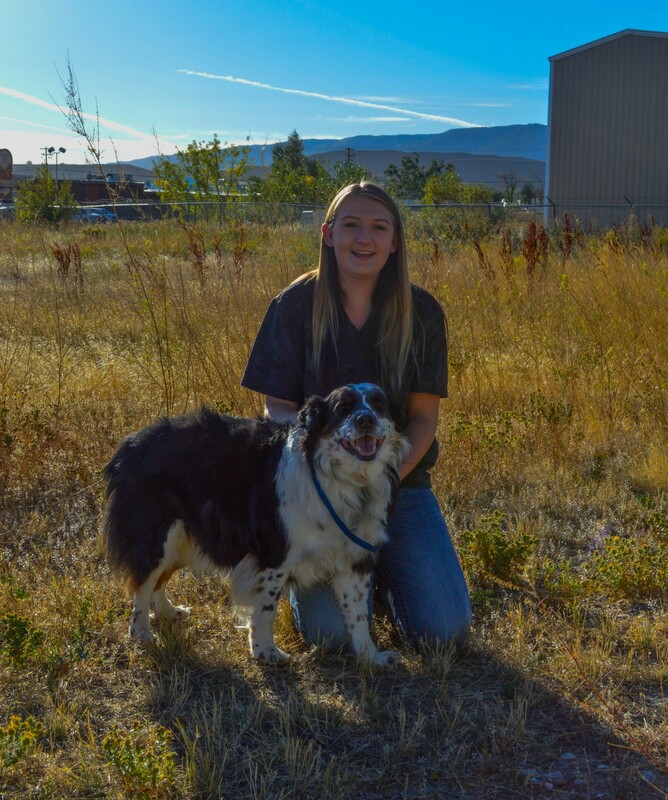 Rylee grew up in Pinedale on a family farm filled with animals; cows, pigs, chickens and horses. 2 dogs and a guinea pig share her home here in Casper. 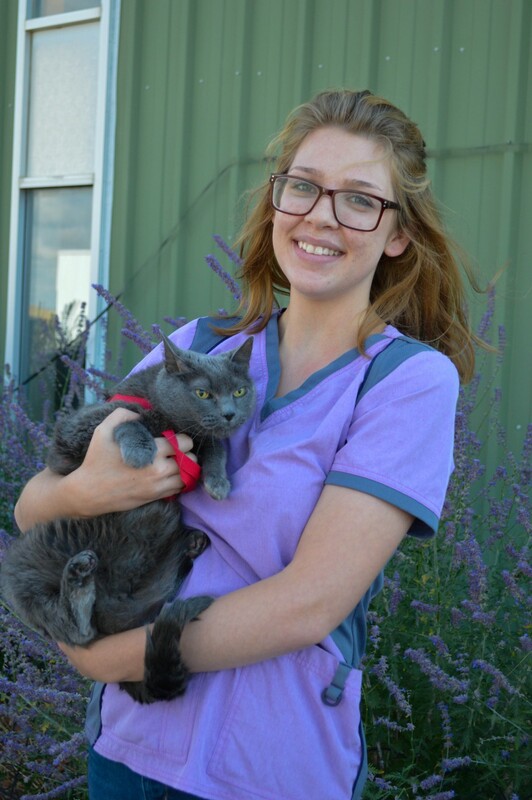 She is currently taking classes at Casper College in Biology after finishing a pre-veterinary degree. She hopes to go on to veterinary school. Abbie is a Casper native. She graduated from Star Lane Center. She is taking classes at Casper College. She is exploring all options and enjoying school. She is a busy lady with another full time job. She always enjoys her "down time" working at Best Friends and spoiling our boarding pets! 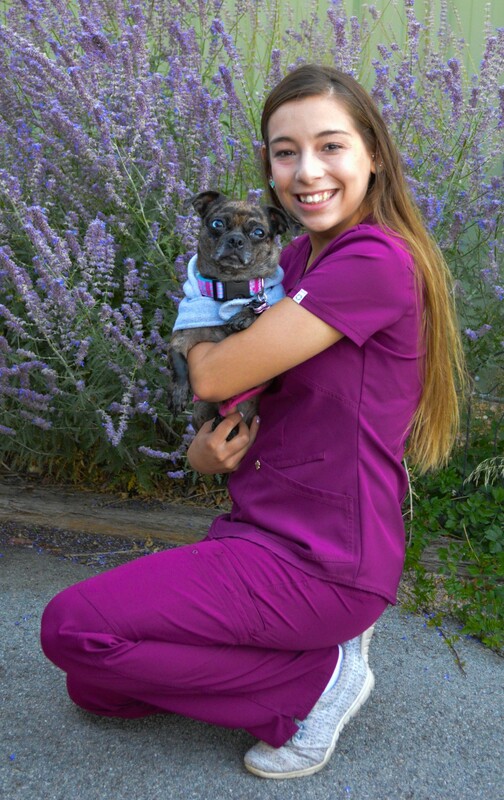 Abbie is pictured here with her 2 year old pug/Chihuahua mix named Harlee (she is even cuter in person! ).